Because I've been so stressed out lately with my assignments I decided to go and do a bit of retail therapy, so just thought I'd do this quick post to show you guys what I bought so you can look forward to some reviews on them! First up are some beauty products. After coming back from Japan and using all the Japanese makeup products, I really regret not buying more so I decided to buy some more products online last night. I bought these items from ichibankao.com So onto the items! When I was in Japan I didn't buy any fake eyelashes. I used to wear them but I kind of stopped because they got too annoying to wear. I decided to buy this item because I'm going to do a Japanese Gyaru tutorial and so I had to get these for a more "authentic" look! 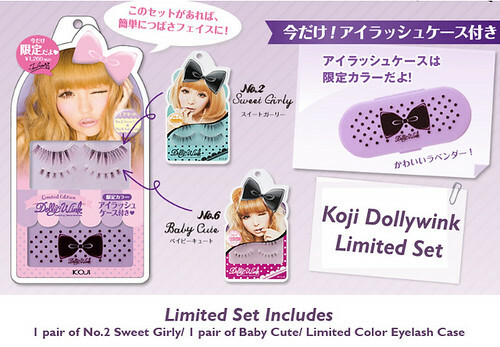 This is a limited edition set that also comes with two dolly wink lashes. Number 2 in Sweet Girly for the top lashes and Number 6 in Baby Cute for bottom lashes. I'm kind of worried how it will turn out to be since I never have worn fake lashes for my bottom lashes before! I have a lot of fake lashes but my eyelash glue has all dried out because I rarely use them, so I decided to get the Dolly Wink Eyelash Glue also. I liked those lashes so thought I'd buy them to try them out. I actually have this already, I bought it while I was in Japan to just try and I loved it! I decided to buy another one for backup. Wish I did buy more whilst I was in Japan though, they were only around $7 over there! Hands down, best concealer I have ever used! I LOVE this concealer so much, excellent coverage and lasts the whole day! It is also waterproof! I decided to buy this concealer to just try when I was in Japan but didn't actually use it until I got back to Australia. Really regretting not buying more of these as well so I decided to buy a spare just incase I run out. Haven't tried this yet but I love the colour so going to try it out. Heard some good reviews on this item so thought I'd try it out. 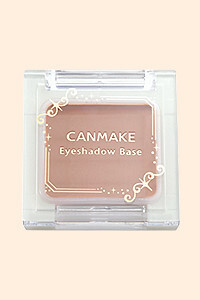 I have the Shu Uemura one however the shade is a bit too dark for me. I'm actually worried about this shade since I can't try it out before buying it... I just hope the shade will be ok for me! So that's it for my Japanese makeup items I bought. I'll do a proper review once they get to me hopefully by early next week! Now.. onto the more "geekier stuff" I just bought! For those that know me, I use to have a Samsung ST550 (TL225) and I honestly don't like it much. Sure, takes decent photos, has a front screen which is useful for self portraits and the beauty mode is excellent for good photos, however I was never happy with the camera. I had so many problems with it and so eventually I got sick of it so I decided to get a new camera. 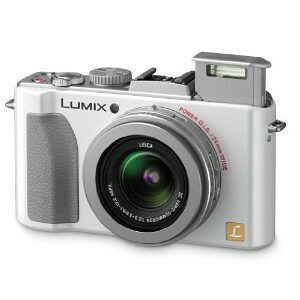 I ended up choosing the Lumix LX5. I have heard really good reviews on this camera so decided to purchase it myself. I have already received the camera since I bought it last week, so far I do love it. Takes good quality photos, has manual mode so I can finally control what I want in photos and it looks really good! This camera also has a beauty mode... but to be honest it doesn't work very well and doesn't make you look as good as the ST550 does .. haha. But anyway, so far good camera, but I haven't had it for too long so can't really review it properly yet. I FINALLY bought a Nikon flash! Before I have 2 really cheap brand flashes that did the job, but weren't that great. I really needed a flash that I can work with on photoshoots to make my life and job easier so I decided to get a SB-600 at the start. However it is now discontinued and no matter how much I bid on ebay I kept loosing. 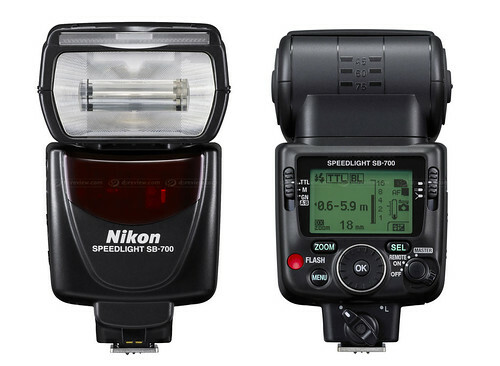 I then researched about the SB-700 and found that the price is really similar to the SB-600 so I thought I might as well get the newer model. I only just bought it today so it should come by early next week. So yeah, that's it for the stuff I bought during the past 2 weeks. Do you guys want me to do individual reviews on the Japanese products I bought? I think that it might be useful if you guys are planning to buy any of these items and want reviews first. If you want them I can do proper reviews once I get my flash for some good lighting and high quality photos! I bought the LX5 recently, too, and am loving it! 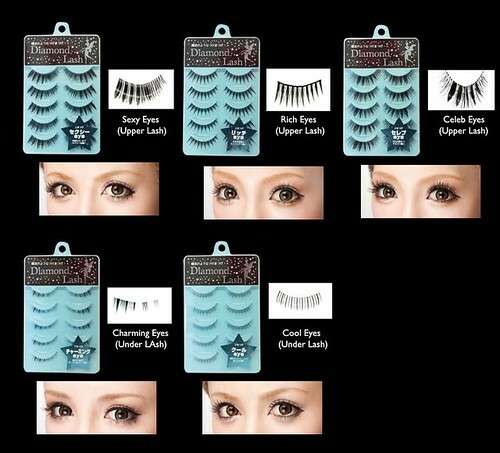 I want to try the Diamond Lash too :) But I can't find someone who sells them and doesn't make them expensive :) Lol. I'm gonna get that too, but I'm still saving up >< but mmm SB-600 isn't discontinued, it's still there as SB-700 is just to fill the gap in for the 600 and 900. Yeh, donno, but yeh 600 is a budget version i guess, if you don't need the command function or gel/fx or dx sensor. really? it is stronger than the 700 tho. and has same power as a 600.
i use it a lot. great for portraits but not anything wider than 18mm on fx. but yeh if you dun like it, sell it although for me i would keep it as it only sells for about 80 used and is handy as a light backup. super cute blog!!! i love fake eye lashes they are awesome!! !